The solution to change these desperate conditions that exist in many regions of Africa and India must be multi-faceted to accommodate a variety of conditions. The main types of hand pumps we offer are the India Mark II, the India Mark III, and the Afridev deep-well (30 – 40 m deep) pumps. Village Level Operation and Maintenance (VLOM) refers to low maintenance hand pumps which can be maintained at a village level, intended to provide reliable long-term service. Aakash International hand pump so easy to use, a child can pump up to 5 gallons per minute. Aakash International hand water pump so durable, it has a 50-year lifespan. 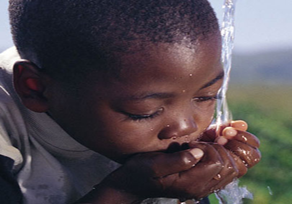 Aakash International hand water is so affordable, you can install it anywhere you need safe drinking water.